This two part article is designed to provide you with both the tools and content to start a discussion about refugees around the world in general, and about the Israeli refugee crisis in particular. We often tend to describe the touristic Israel or bring the beautiful optimistic version of it to our students. I believe that true Israel Education should showcase all that Israel has to offer, the good, the bad and the ugly too. Then students can form their own relationship and their own opinion/s about Israel, without being spoon-fed one version of it. Yes, there are many more facets to this crisis in Israel than this article can tackle. I want us to shed light on this complex situation, and mostly explain where and how it started, while also using new interactive and immersive tools along the way. Refugees and Illegal immigrants here in the States have been prominent in the news these past few weeks now. Many don’t know their legal status or what their futures hold. In the meantime, the civil war in Syria continues to destroy Syrian homes, villages, and historical communities like the ancient city of Aleppo. Thousands flee to Europe on a daily basis while others cross into neighboring countries and live in refugee camps for months or even years. An article published in Tablet magazine in October 2016 called “How to Explain the Refugee Crises to Kids” provided resources on how to discuss this with younger children. This article is designed to provide more in-depth information and resources on refugees in general, and about the Israeli refugee crises in particular. My hope is that you can find here all the information you need to start conversation, or design a lesson plan, while using content and interactive resources provided here. I promise you, this will get their attention. Now let’s try it. 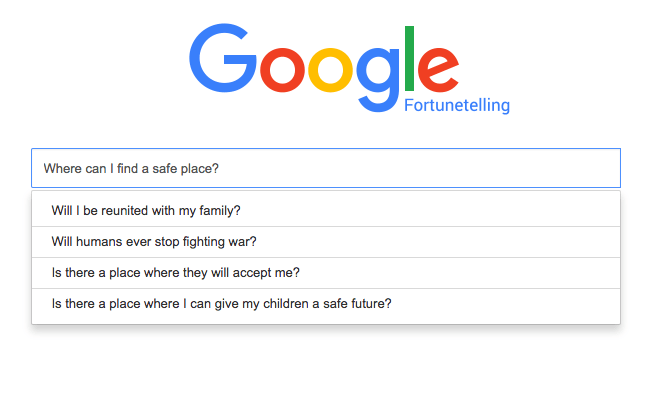 Think of one question you would like Google to answer for you. Next, go to http://betagoogle.com/ and type your question. If you played along and typed a question, you noticed that Google can’t really predict your future. We have the luxury of thinking about our futures, dreams, wants, and needs, while refugees from all around the world struggle with their day-to-day existence not knowing where to call home or where they’ll be tomorrow. This short interactive exercise, though lasts few short minutes, can be a great way to get your teens into the state of mind of thinking about the big subject of refugees. It is hard to explain to our youth what it is like to leave your home, your friends, community and family in search for a better life somewhere else. How can they relate, or help, if they have never been in this situation? Another way is to virtually experience what some refugees go through, where they live and how they survive. For that I suggest using immersive technologies like immersive 360 Videos and/or Virtual Reality videos in order to take your students on a virtual trip to one (or a few) refugee camp(s). I recommend screening in your classroom or providing the links to your students so they can experience the 360 videos on their phones by scanning the environment around them. If you have a Google Cardboard VR Goggle or other VR goggles, place your phone in and let your students fully be immersed in the environment. Using earphones will enhance the experience as well. When we are in a virtual world using VR Goggles, what we see, where we are, is perceived to our brain as if we are really there. These experiences, while walking in camp, talking to a child, visiting their ruined house, feels real to us. Utilizing multiple senses enhances the experience and the learning that occurs. Discuss what they saw and what they felt while “visiting” the camps, and what their thoughts are about people they “met” along the way. I suggest trying these resources at home first, so you’ll be familiar with how to best use them and what the difference is between showing a 360 on a screen or on a phone, compared to a VR experience. The Displaced: 360 & VR Video – War has driven 30 million children from their homes. These are the stories of three of them. Welcome to Aleppo: 360 & VR immersive short video – The first ever VR film from a war zone. It was shot on the war-ravaged streets of Aleppo. Dadaab refugee camp: VR experience 360 and VR Video- Located in Kenya It is the world’s largest refugee camp. 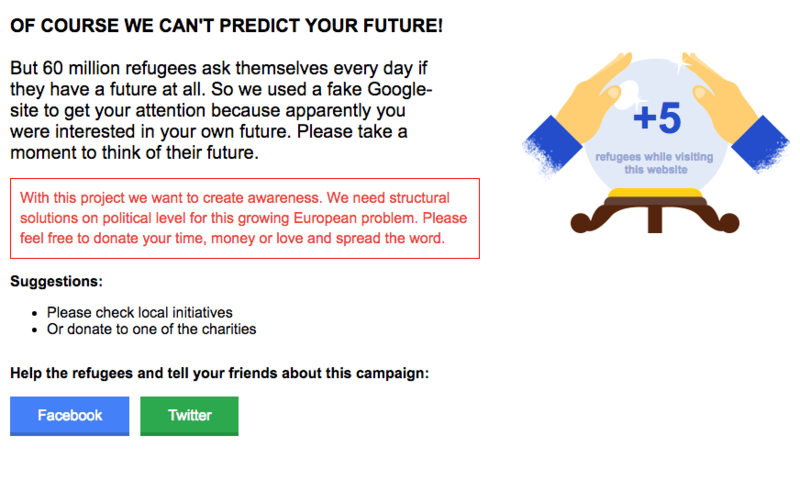 I hope you’ll find The Google fortunetelling website as well as the 360/VR immersive interactive refugee camp experiences good stepping stones into discussing refugees in general. Now you can discuss with your class Tikkun Olam and find collective ways to help refugees around the world. In Part 2 of this article we will try to understand what Israel’s role is in helping refugees, how it deals with its own refugee crises, and learn when and how it all began. Yifat Mukades, MA.Ed. graduated from AJU in Spring, 2016. She is passionate about Israel education and is an iFellow with the iCenter, receiving their Master’s Concentration in Israel Education. She was one of Camp Alonim’s Jewish Education Directors this past summer, and currently serves as Assistant Director at Valley Beth Shalom Etz Chaim Learning Center in Los Angeles where she is responsible for creating educational experiences using emerging technologies for its Technology Academy students.